Interview to TBP, Mario Contarino’s project, by Rock The Night 8th, February 2015. 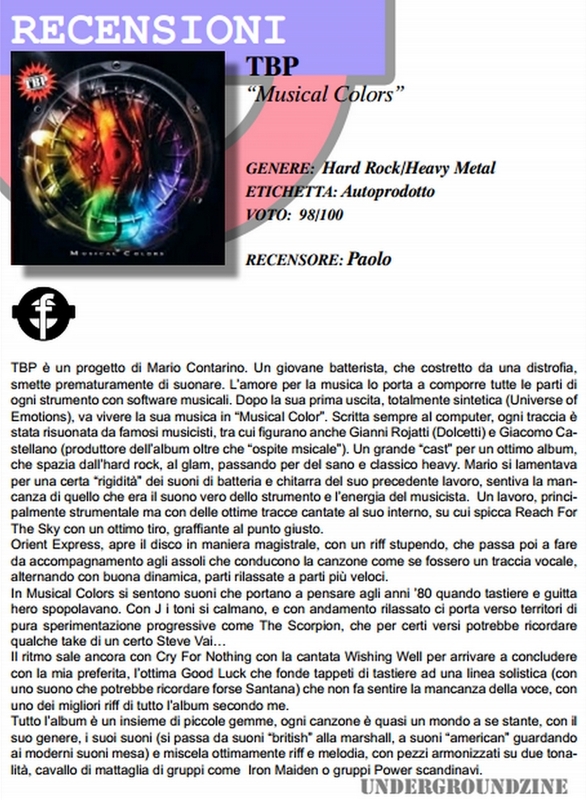 Intervista a TBP, progetto di Mario Contarino, da Rock The Night dell’8 Febbraio 2015. 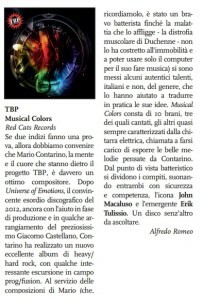 New review by Metallo Italiano. New review by Undergroundzine (January 2015, page 64). Nuova recensione di Undergroundzine (Gennaio 2015, pag. 64). New review by Raw & Wild. Nuova recensione di Raw & Wild. New review by True Metal.it. Nuova recensione di True Metal.it.